Who hasn’t enjoyed watching Antiques Roadshow or American Pickers to find out how much money a vintage treasure can fetch at an auction? These shows may make it look easy to score extra cash on vintage finds, but there is a lot of work and know how on buying and selling collectable and antique items. While you might not have a lot of time or money for collecting, a little knowledge about what could be a future treasure will help you determine what to keep and what to throw. Expert collectors often get asked about the most common collectibles that increase in value over time, and here are a few of their answers. Collecting baseball cards can be one of the simplest hobbies of all. Whether you like collecting full sets, rookie cards, your favorite team, or just your hometown heroes, you can’t go wrong collecting baseball cards. Collecting and trading with family and friends makes it even more fun! Baseball cards are easy to store because of their size, but make sure you take the right measure to protect your cards from moisture and temperature changes. Most kids had comic books, also known as graphic novels, at one time or another. There seems to be a story and character for everyone. 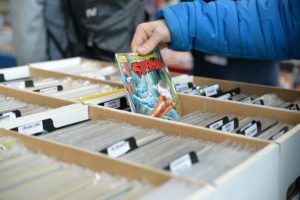 Comic book collecting experts suggest buying and collecting what you like instead of getting caught up on what’s ‘selling’ now. Brick and mortar comic book shops, thrift stores, estate and rummage sales are good resources for buying comic books. While online sales via eBay and other auction sites may sound more convenient, you’ll take comfort in having the ability to inspect the book in person before making an investment when you shop local. Plus, treasure hunting is half the fun! Posters, action figures, props and other memorabilia from blockbuster movies (think: Harry Potter, Star Wars, Star Trek, Wizard of Oz, Titanic) can all increase in value over time, especially more rare items or those that include a celebrity autograph. Sci-fi, thrillers and movies with the most popular actors, like Marilyn Monroe, will fetch the most money when it comes time to sell. Rare coins, especially those made of gold and silver, are worth storing and ignoring. Like with most collectibles of worth, the better the condition, the better value. Store your coins individually in protective cases and in dry, climate controlled areas of your home. Metals degrade easily, which will degrade the value of your rare coins. Of course, books offer much more than just fiscal value. They bring a wealth of knowledge and entertainment to the hands of people all over the world. Collecting books is an excellent hobby for voracious book readers who will also enjoy the hunt for the rare and unique book that can increase in value over time. First editions in very good to excellent condition are generally more valuable. Books that have autographs or hand written inscriptions by famous people are also great collectibles. Books are sensitive to sunlight, heat and moisture. Be sure to keep your collection out of direct sunlight and in climate controlled storage when you are not enjoying them. We’ve all done it, found an old toy we played with as a child and searched eBay to see if it is worth anything. It’s amazing that what was once a child’s plaything, can now be worth double or triple what you paid before it became labeled as a collectible. Action figures and dolls like Barbie and G.I. Joe as well as Hot Wheels and Matchbox cars are extremely popular collectibles that go up in value depending on their rarity and condition. Most toys were played with, as intended, and as a result the condition is often less than desirable. 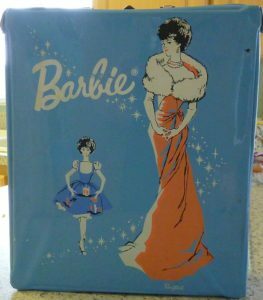 If you have an old toy that has little wear or is in its original box, hold on to it and watch the value increase! 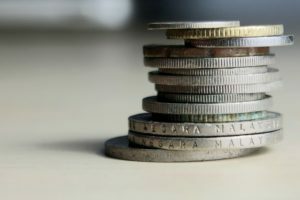 Collecting is a fun hobby and whether or not you intended to cash in, hand down or just enjoy your treasures, protecting the condition of these items is important. Most items will only increase in value if they are in mint or near mint condition. Be sure to have valuable items appraised and covered by your insurance policy, whether it is in your home or in storage. You’ll also want a separate inventory list to track what you keep and what you sell so you always have a current count of your collection. Protect your items with climate controlled indoor storage. Choose plastic bins and tarps to cover your items and store them up off of the floor for extra security. Our EZ Storage facilities in Newton and Framingham offer climate controlled storage units of all sizes. Call or stop in to learn more about protecting your collections in self storage.